Kira is fighting to prevent a final war between Partials and humans in the gripping final installment of the Partials series. 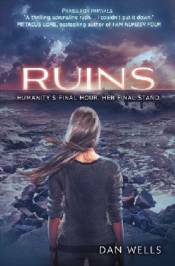 Humans and Partials alike are on the brink of destruction, and their only hope is to work together. But there is no avoiding it - the final war to decide the fate of both species is at hand, and every faction seems determined to tear the others apart. Both sides hold in their possession a weapon that could destroy the other. Kira has fought her way through madness and ruin, but the greatest horror lies in a place she had never dared to consider: herself. She has one chance to save both species and the world. But it might be at the cost of her life.